Has anyone else pulled out their fall sweaters yet? With temperatures in the mid 60's (here in Boston) this week, not only did I organize all of my sweaters, but I was excited to finally wear some of the new ones that I purchased during the Nordstrom sale. Although summer went by way too fast, I have to admit that this is my favorite time of year for dressing. I love when it's cool enough to throw on a cozy knit, yet still warm enough that you don't need a jacket. I guess I shouldn't be surprised that the weather has cooled off since tomorrow is officially the first day of Autumn. Over the next couple of weeks I'll be sharing some of my must-have items for this fall and winter season, and today I'm beginning with my favorite fall staple: the cozy cardigan. Not only are cardigans perfect to wrap yourself up in on a chilly day, but they pair well with everything! From jeans, to work pants or dresses, you can never go wrong with a cardigan. Plus they can be styled so many different ways. Wear it open to show off a camisole or graphic tee, or wear it buttoned with belt over, to cinch in your waist. This oversized cardigan is one that I snagged during the Nordstrom sale. I love the waffle stitching and the grandfather fit. Sizes are limited, but know it keeps coming in and out of stock (last time I checked, sizes extra-small and large were still available). If you're looking for a great open cardigan, then I highly suggest this one. I got is last year, and still wear it all of the time! I also just ordered this open knit cardigan, and if you're looking for a splurge that will last you years to come, then I recommend this beauty from Vince. Make sure to check out all of my cardigan picks below. 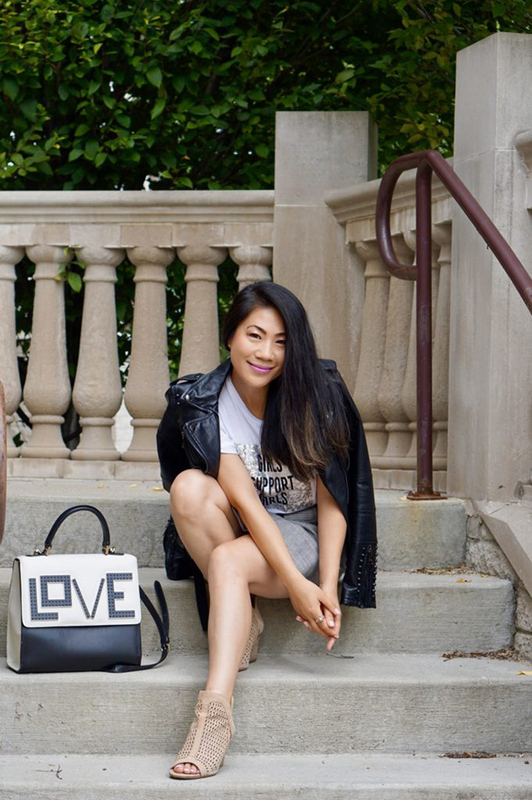 The feature blogger is Grace from Color and Grace. I'm loving how she paired her plaid skirt with a moto jacket! 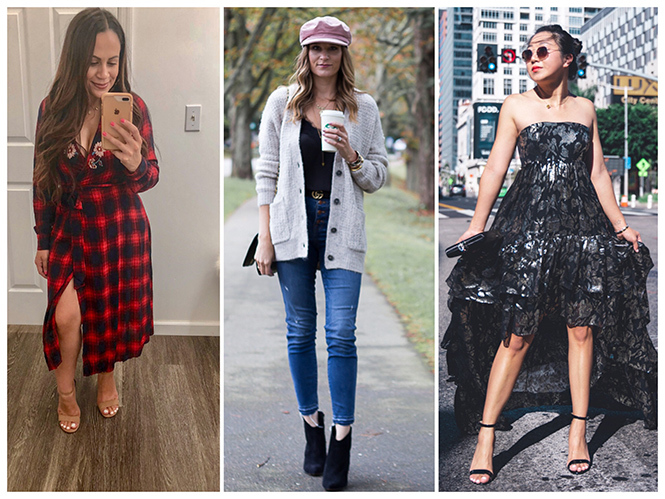 She's sharing different ways to style plaid on her blog, so make sure to stop by to see her take on the fall trend, and say hello. This is a beautiful transition outfit! Love this cardigan and how cute is your hat. There are so many great cardigans here! I'm becoming obsessed with the chunky oversized ones. They are so cozy! Love the one you are wearing and that fab hat! Sad I missed out on that cardi! It's SO cozy! Oh, that cardigan looks so cute and cozy. Love your hat too! I organized my sweaters last weekend. I too am excited for cooler temps and sweater weather. Love this cardigan and all of your picks! I've been pulling out mine too - even though it's nowhere near fall here yet! But I don't care, it's September, so it's time! 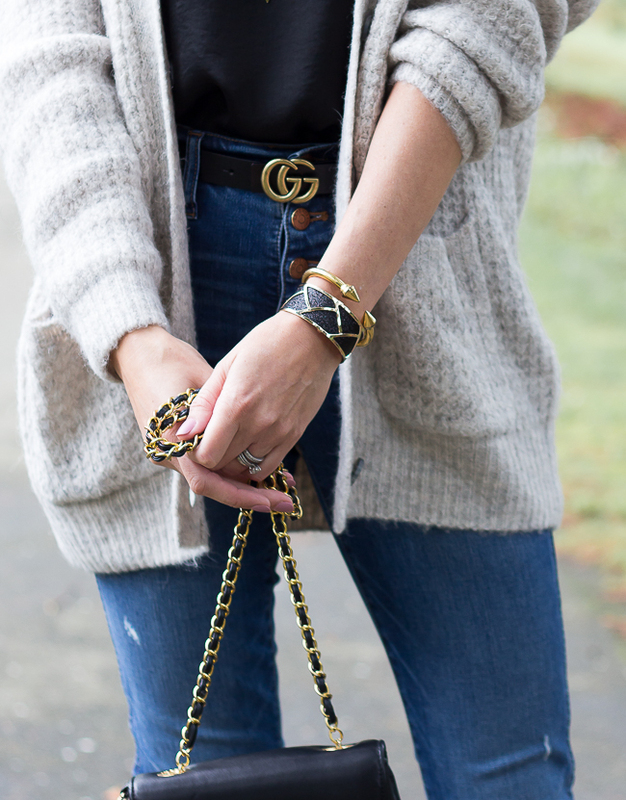 :) Love this cute cozy look! Lovely look! Great cardigan! Have a good weekend! I'm such a fan of these hats! I love this look. Is there anything better than cozying up in a big cardigan?? Loving your picks! I love a good cozy cardigan. The weather here in California has not quite caught up to fall, but I can't wait to wear something like this! Yay fall! We're in the upper 80's today but should be dropping to mid-60's tomorrow just in time for the official start of fall. Am looking forward to getting into sweater weather and love the waffle texture on your gorgeous cardigan! Have a snug weekend! I broke out my sweaters last week! I love a good cardi because they are so versatile. The one you're wearing is a great classic shape and I do love the waffle knit and those pockets! What a cozy and comfy look you have here dear! Love the sweater. That cardigan looks so cozy and I love the two front pockets! The color is beautiful too and I can see it being a wardrobe staple during the cooler months. Fall hasn't gotten the memo in our neck of the woods yet but I am know it will arrive. I hope your week is off to a great start and happy Tuesday! OH WOW!!! I love your sweater. I believe sweater never go out of trend with competition of denim jackets and leather jackets. I appreciated your clothing ideas for women's fashion.